Agile. The word evokes images of a racecar zipping around a hairpin turn or a dancer executing a perfect pirouette. It’s sleek, fast, and responsive. At work, being agile can supply you with the perfect response to that tricky sales question or keep you one step ahead of your micromanaging boss. 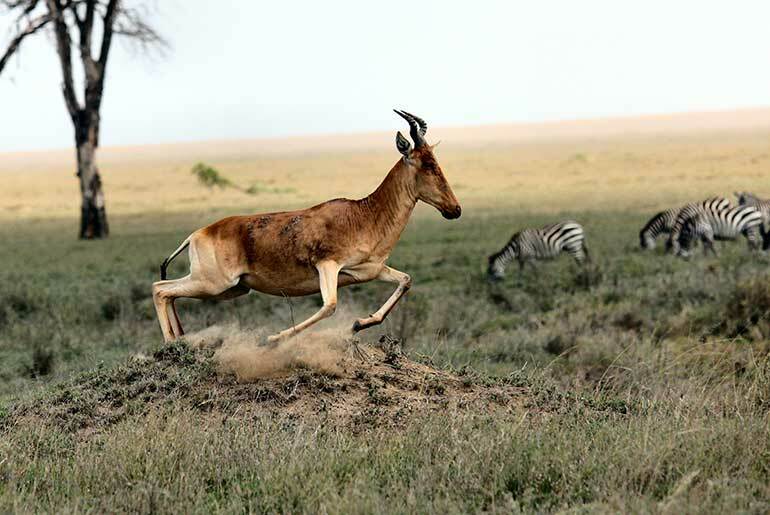 Agility might even save your life—just ask the gazelle who escapes a hungry lion! Being agile has many benefits. But unless you work in the technology sector, you may not know how much this concept has changed the world. Since 2001, so-called agile techniques have transformed the tech industry and are now standard practise for how teams develop websites and apps, especially within startups. From your Facebook feed to your favourite iPhone app, chances are the programmers that create the experiences you love are trying to be agile. Fortunately, today you have a tour guide. I’ve spent the last decade building agile teams, and I’m here to tell you that agile techniques can make anyone more effective at work, whether or not they work in a technical environment. If your job requires you to deal with change, agile is the perfect tool to cope. Today I’m going to share 7 jargon-free ways you can be agile at work to get more done. Let’s get started. The first and most important principle of agile development is to “… satisfy the customer through early and continuous delivery of valuable software.” There are two key pieces here: 1) satisfy the customer and 2) delivery. Said another way, whenever you are doing work, focus on the value you can provide your constituents and make sure you deliver that value as soon as possible. A core agile tenet is to be open to change. Chances are you can’t control the world around you, but you can be ready when things inevitably start moving around. One very concrete way to do this is to stack rank your tasks. This simply means listing out the things you want to do in order of priority. No ties. Force yourself to rank them. Then comes the key insight: revisit your list frequently. Many agile development teams go over the list each day. Not only does this keep your priorities top of mind, it builds a habit of responding to change. New requirements aren’t scary if you’ve come to expect daily adjustments. There is a concern here, however. If you are revisiting your priorities every day, you can’t spend too much time doing so. Don’t get paralysed analysing the list! It’s going to change tomorrow. A rough ranking is better than a perfect ranking. Focus on value and move on with your life. The next suggestion is a great hack to deliver value more quickly: come up with a minimum viable product (MVP). What this means is to achieve any goal at work, challenge yourself to identify the easiest (minimum) thing that could work (viable product). This allows you to test your ideas out faster so that you know they work before you try to scale them. For example, suppose that are a customer service agent and you find yourself constantly answering questions about a new product. Instead of trying to write a comprehensive FAQ, first simply take note of questions as they come up and jot down a quick answer to each one. Refine the list as you test how people respond. Maybe it will turn out that an FAQ is overkill or that targeted email responses are less overwhelming. What’s for sure is that the end product will be better because you tested it first and didn’t waste time on questions nobody asked. Principle 4 of the agile manifesto states: “business people and developers must work together daily throughout the project.” That’s pretty specific for developers and vague for business people, but the principle is sound… there is no need to go at it alone. Much like the developers who have a special skill to create working software and the business people who know what software would be valuable to create, your coworkers are probably experts in areas that you are not. When you focus on providing value to your constituents, you’ll probably realise that not everything valuable is something that you’re great at. The manifesto puts this one elegantly: “Simplicity—the art of maximising the amount of work not done—is essential.” Where can you simplify? Per the Pareto principle, in many environments 80% of the results come from 20% of the work. That means 80% of the work is ripe for simplification or even elimination outright. Here I recommend tracking your time spent over the course of a week. If you work on a computer, a program like RescueTime can do this automatically, but even pen and paper are an acceptably simple way to do a time audit. At the end of the week, you’ll know how much time you spent; now do a rough estimate of how much value you provided through each major task. This will give you an idea of where to spend more time and where to pare back. If you discover something really impactful (or wasteful) try sharing it with your coworkers or even your boss… you can work together to make things simpler and more effective. Sustainability is an often overlooked part of being agile. The principle is that value creation is a marathon, not a sprint. If you can’t keep the pace up over the long term, you’re not creating enough value. Fortunately, agile approaches also have a mechanism to make sure that the work is sustainable. By quantifying how much value you deliver each week, you can get into a rhythm of comparing your results with the amount of effort spent. Over time, you’ll get a feel for what pace you can maintain. Then, you can focus on delivering more value at that effort level rather than trying to work ever harder. My final suggestion is to do a weekly retrospective of how effectively you and your team are delivering value. Many development teams have a formal session at the end of the week to do just this—here are a few suggested formats if you want to institute such a session. Even if it’s not a formal session and even if it’s just you, taking time out each week to work on your job rather than in your job will pay dividends. How am I delivering value to my constituents? Is there anything I should change to deliver more value or to deliver the value sooner? Are my priorities ranked correctly? Have I been updating my priorities every day? For my top priority, am I pursing an MVP? Is there a smaller, faster step I could take to start testing this value? Do I have the right collaborators? Who could help me (and who I could help) to create this value? Is there anything I should stop doing? How can I simplify my job? As you work through the questions, capture action items that you can work on throughout the week. Over time, small improvements will add up to a very productive working life. There you have it, 7 jargon-free ways to be more agile, even if you’re not working in a technical field. By staying laser-focused on providing value, starting small, and working towards your goals incrementally, you will become much more productive and resilient to change. As you provide value, may find your work more rewarding. At the very least, it will become more sustainable. And with that, I hope that I’ve provided you some value that you can apply to your career right now. In the spirit of testing and improving, let me know in the comments how any of these approaches have worked for you. And if you’re interested in other ways that startup-style techniques can improve your productivity, check out my guide on how to apply “lean” methods to clarify and achieve to your goals. Lean and agile is a powerful combination… you may even avoid that lion!